Celestial starscapes, far off galaxies - they're all at your fingertips with this glistening Star Dust Crown Bracelet. 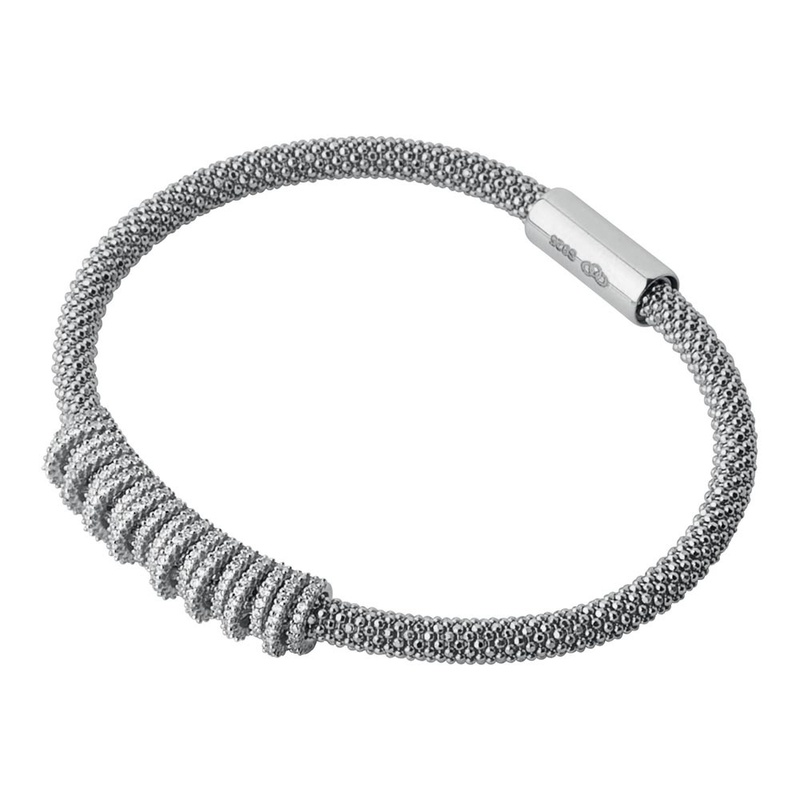 The band design is made with a special diamond cut sterling silver mesh, with tiny facets that catch the light as it moves, creating an eye-catching shimmer. A centre piece sparkling Cubic Zirconia pave and sterling silver crown creates a sensational focal point. Meanwhile, a sleek magnetic clasp makes it effortless to secure. Skip to the moon or a champagne cocktail party in one of these. Better still, stack them high in multiple hues for instant head turning glamour. There are 12 contrasting options to choose from.